You practice, practice, practice with your favorite fighting game character but, even if you’re really good, the special moves don’t come out the way you want. One of the icons of fighting games is making a game where they’ll come out every time. “Honestly, if you asked me two years ago, I would’ve said what we’ve built here is a dumb idea and wouldn’t work,” says Seth Killian. “But we built it anyway and I think it works.” Killian is a fighting game guru. He’s been a competitor, commentator and developer deeply committed to telling people what’s cool about the various games where two characters beat up on each other with esoteric, over-the-top martial arts moves. Killian’s part of a team at Radiant Entertainment, the dev studio founded by the Cannon Brothers. “I have a slightly messianic belief in fighting games, just for the way they bring people together. You can watch two human minds interact in this environment in a really fast-paced way,” Killian said. “When I was thinking about making a fighting game, the first question I was focused on was, ‘What do I have to offer the genre?’” It’s a healthy time for fighting games, Killian observed. Lots of high-quality games are coming out and the genre isn’t in danger of dying out the way it was a few years ago. But he still thinks there’s a big problem keeping the genre from growing. The game—played in its current form on PC with keyboard—will feature three special moves for each character, along with a super-move and something called Kinetic Mode. Players can choose between Kinetic Advance and Kinetic Deflect. Kinetic Advance lets players cancel special moves, dash forward/backward and offers more offensive flexibility. Kinetic Deflect works more or less like a combo-breaker, Killian said. Special moves will all have variants, too. Players won’t be paying to play and learn Rising Thunder. “I wanted to do away with the idea of charging people $60 to begin their six months of suffering, after which they’re allowed to begin playing the game, which they may or may not like,” Killian told me. :That seems wrong. You look around at all the most competitive games and they’ve figured out how to build a business around giving the game away for free. If you make a fun game, a good game, you can give it away or free. If you don’t, you’ve got to worry about selling it all up front. That wasn’t the kind of thing I wanted to do.” The plan to make money with Rising Thunder, Killian said, will be centered on cosmetics. 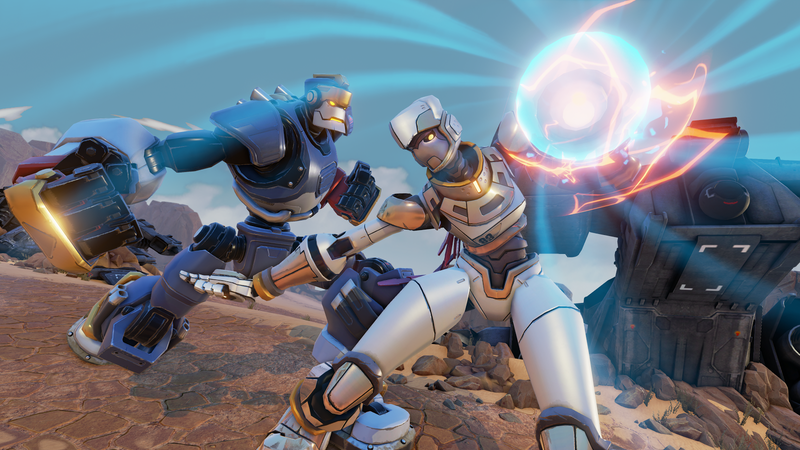 Rising Thunder’s technical alpha opens up on July 28.